In January 2017, after a monthslong independent investigation involving three quality-control and supply-chain analysis firms, Samsung completed its investigation into the cause of the Galaxy Note 7’s battery fire — and revealed the ultimate causes of the billion-dollar fiasco. According to DJ Koh, the company’s chief mobile executive, there were problems with batteries from two different suppliers. Those sourced from Samsung’s own SDI division short-circuited as a result of damage to the separator, a component within lithium-ion batteries that prevents the negative and positive electrodes from coming into contact with each other and generating a dangerous amount of heat. Batteries from Hong Kong-based Amperex Technology, meanwhile, experienced failure as a result of protrusions in the battery and other quality issues that occurred when Samsung increased its order substantially. The company is putting in place preventative measures going forward. It’s introducing an eight-point inspection process, adding staff dedicated to overseeing each battery feature’s safe implementation, and making intellectual property around battery safety and standards freely available. The Galaxy Note 7 as we knew it is long dead and gone, but a new variant of the ill-fated phone is now on its way. There is, however, some speculation as to what the phone will be called. Latest reports indicate that the device will be launched under the name “Samsung Galaxy Note FE.” The news comes from Korean publication ETNews. Previously, however, reports indicated the phone would be branded the Galaxy Note 7R. The brave new handset (which is to say, its buyers will be brave) is a refurbished version of the spontaneously combustible smartphone. The battery will be smaller than the original at 3,200mAh (the original was 3,500mAh), but otherwise will look very similar to its namesake. When it becomes publicly available, the 7R or FE will be priced around $600, though it won’t be for sale in the U.S. or Canada. But if rumors are to be believed, overseas carriers could be stocking the Galaxy Note 7R/FE as early as June. The phone has officially passed through the FCC, so while you may not be chomping at the bit to get one just yet, it seems as though all systems are go. Well folks, this is the end of the road. While Samsung and most carriers have all made various attempts at getting customers to return the Samsung Galaxy Note 7, there are still a few rogue units out there — so Samsung has to take a new approach. To do this, the company will begin forcing software updates — which is different than previous attempts. Before, technically users could choose not to accept the software update, but now they won’t have a choice. The news comes from Korean publication The Korea Herald, in which Samsung confirms it will begin forcing updates in the next week. The goal here is obvious — these new software updates will spell the end of the road for the Galaxy Note 7 once and for all. Verizon is taking a new approach to ensuring customers stop using their Galaxy Note 7 — by forwarding all non-emergency calls to Verizon customers service. The new approach comes after an update that was supposed to render the phone completely useless, but some users seem to have evaded that update altogether. On top of the call forwarding, Verizon is also considering charging some users with the full retail cost of the phone — that’s because it seems as though Verizon issued refunds to some people even though they hadn’t returned the phone. It’s important to note that the vast majority of people have indeed returned their device. However, it seems that Samsung and carriers won’t rest until all devices have been returned. The Federal Aviation Administration has issued a statement saying airlines no longer have to notify passengers about bringing the Samsung Galaxy Note 7 on board. The ban is still in place, but airlines are not required to make a pre-boarding notification. It’s still up to airlines if they want to keep repeating the message or not, though. “The Department of Transportation removed the requirement for air carriers to specifically notify passengers about the Note 7 phone immediately prior to boarding due to the high degree of public awareness of the ban since issuance of the emergency restriction/prohibition order, as well as the extensive efforts by Samsung and U.S. wireless providers to make all Note 7 users aware the phone is recalled and banned from transport on U.S. aircraft,” according to the statement. Samsung says it has “successfully recalled” more than 96 percent of Note 7 devices. T-Mobile is officially putting an end to the Galaxy Note 7. As promised, the company has started rolling out an update to Galaxy Note 7 devices on the T-Mobile network that disables the battery on the phone, rendering it unusable. The changelog for the update says that it will offer an on-screen reminder to bring the device in for exchange, and that once it’s installed the phone will not be able to charge. The company said it’s working with carriers in the U.S. to notify customers at “multiple touchpoints” that they should return their Galaxy Note 7. And it reaffirmed that exchange incentives introduced earlier this year would remain in place. Verizon has announced that Galaxy Note 7 devices on its network will start to receive the update a bit later, on January 5. There’s no word yet on whether the company will extend the disabling of Galaxy Note 7s to additional countries, but it has employed other techniques. In Canada and Australia, for example, the phone is limited to a maximum battery capacity of 60 percent. Following this string of incidents, Samsung issued an official statement saying that it has asked all carriers to stop sales of the phone, and that all Galaxy Note 7 users should power down their phones and either get refunds or replace their device as soon as possible. 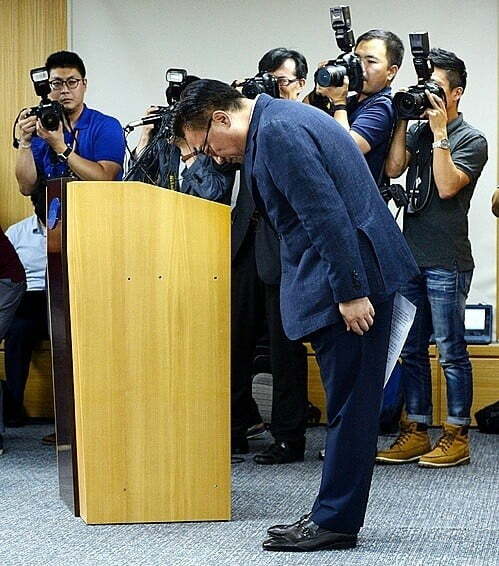 Before that, an official at a supplier for Samsung told a Korean news agency that production had been temporarily halted. “This measure includes a Samsung plant in Vietnam that is responsible for global shipments,” the official said. The move follows the decision of U.S. carriers AT&T, Verizon, and T-Mobile to temporarily suspend the phone’s sales. The crisis began in late August, but reached a head on September 15, when the CPSC, the federal agency charged with overseeing product reports and alerts, issued a formal recall of the more than 1 million Note 7 devices shipped to consumers in the U.S. Since the recall, Samsung had begun issuing replacement phones. But even those have issues: A replacement phone caught fire aboard a Southwest airlines flight on Oct 5. And on October 7, a woman in Taiwan suffered a scare of her own while walking her dog in a local park when she heard a bang from her jeans pocket. She discovered that her Galaxy Note 7 was emitting smoke. She claims to have replaced her original Samsung device on September 27. On Friday, 13-year-old Minnesota resident Abby Zuis discovered her replacement Note 7 was no safer than the original. She told local newscasters that she felt a “weird, burning sensation” in her thumb while holding the phone, ultimately suffering a minor burn as a result of the fiery Samsung device. Most damning is the report that a replacement Galaxy Note 7 caught on fire, and that Samsung knew about it and withheld everything from customers. Kentucky resident Michael Klering told a local news station that he awoke at 4 a.m. on October 4 and realized his new phone had spontaneously combusted and filled his entire bedroom with smoke. Klerig wound up in the hospital with smoke-induced acute bronchitis. Digital Trends reached out to Klering and we are waiting to hear back. A fifth replacement Galaxy Note 7 in the U.S. reportedly caught fire over the weekend: Shawn Minter of Virginia reached out to The Verge when his replacement, just over two weeks old, caught fire on his nightstand in the wee hours of the morning. Under no circumstances should you buy a Galaxy Note 7, or continue using one that you already have. The Galaxy Note 7 is coming back as a refurbished phone	A timeline of events	Where has the Galaxy Note 7 been banned? I bought a secondhand Galaxy Note 7. How do I know if it’s safe?